The joys of motherhood can sometimes be dampened by the ravages left on the body. 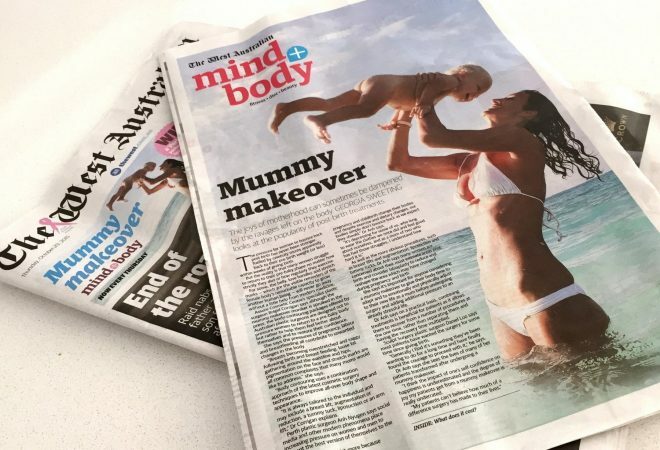 As featured in The West Australian’s Mind+Body liftout, Georgia Sweeting looks at the popularity of post-birth treatments. The pressure for women to bounce back post birth has never been stronger, fuelled by celebrity mums apparently back to their pre-birth weight (or less) within weeks of giving birth. But the reality is that many women struggle to return to their pre-baby shape no matter how striclty they diet or how regularly they exercise. For some, the belly, love handles and stretch marks – which are the visible reminders of the female body’s remarkable capacity to grow another human being – will never go away without a little help from modern medicine. Assure Cosmetic Centre’s specialist plastic surgeon Dr Brigid Corrigan says although the mummy makeover moniker is spruiked in the press, the body-contouring packages offered by Australian plastic surgeons are designed not to pressure women to return to a pre-baby body but rather to help them feel better about themselves and to restore their confidence. She says the pressures of pregnancy, labour and breastfeeding all contribute to unwanted changes in the body. “Body contouring uses a combination approach of the latest cosmetic surgery techniques to improve all-over body shape and appearance. “It is always tailored to the individual and may include a breast lift, augmentation or reduction, a tummy tuck, liposuction or an arm lift,” Dr Corrigan explains. Find out more about our mummy makeover packages.